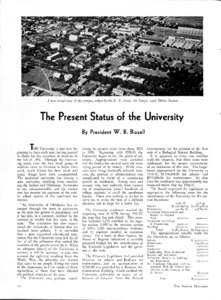 In 1935, President Bizzell writes his predictions and hopes for the next ten years at the University of Oklahoma. 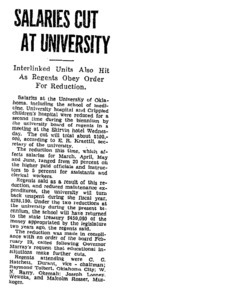 The article includes enrollment statistics for the university from 1892 to 1934-5. 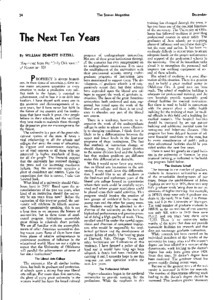 "The Present Status of University"
President Bizzell describes the status of the university included funding and enrollment statistics.